Jeep CJ (1972-1986); Front Axle; 3.73, 4.10 or 4.56 Ratio. Jeep C104 Commando (1972-1973) w/ Dana 30 Front Axle; w/ 3.73, 4.10 or 4.56 Ratio. 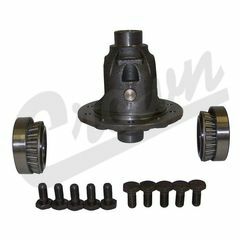 Standard Differential For Dana 30 Front Axle.